5 ways to save money on photographyHappy New Year! 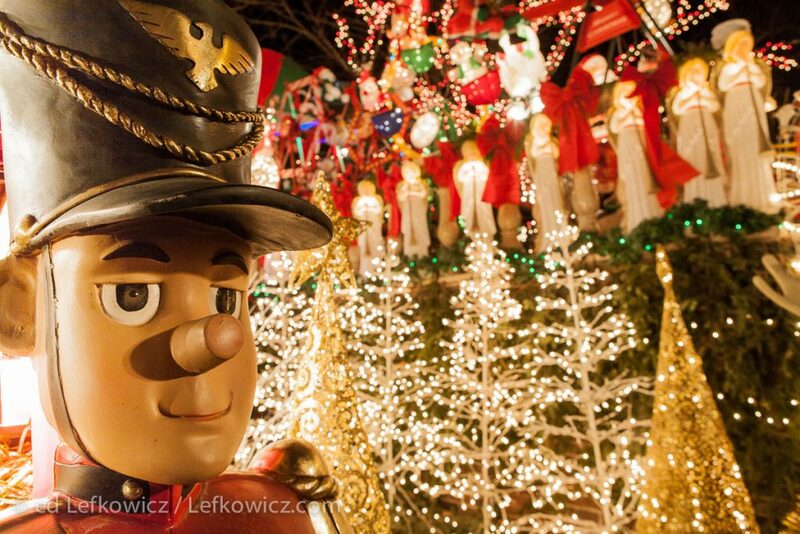 A toy soldier, Christmas trees, angels and more decorate this house in Brooklyn’s Dyker Heights. Whatever holiday you celebrate, and whether you celebrate traditionally or non-, I hope it’s terrific for you and yours. And if your days be merry and bright it will be that much easier to take pictures. 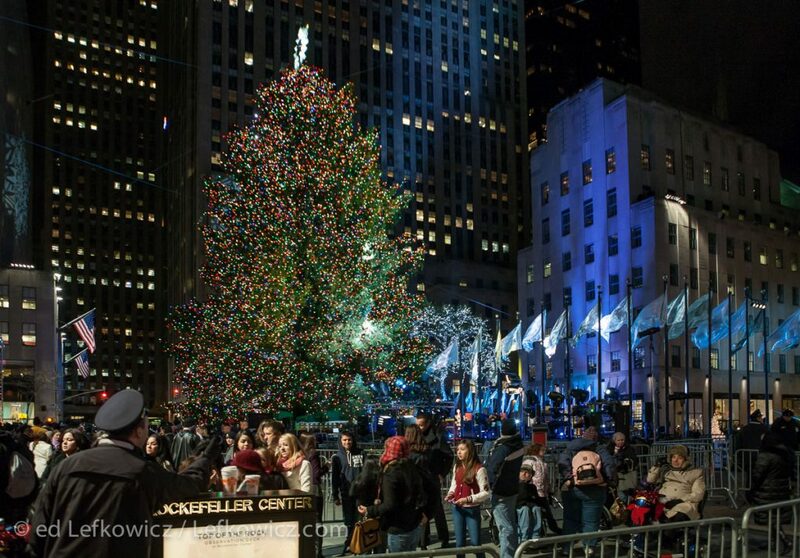 Tourists gather around the Christmas tree at Rockefeller Center. Disclaimer: no suggestion regarding the writer’s preference for one over any of the others should be inferred by the order of the holidays in the blog post title. Actually, by tradition, I do hang a stocking by the chimney, with care. 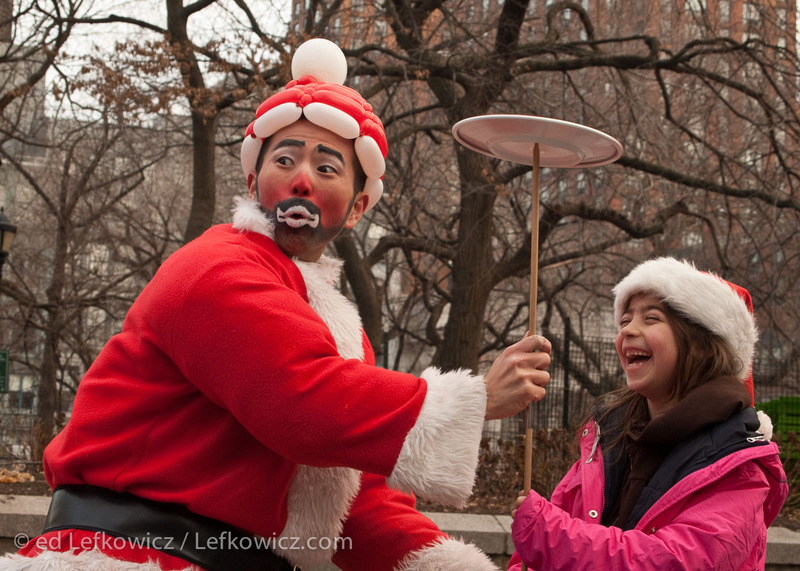 A juggling Asian Santa in Union Square helping a girl spin a plate on a stick.